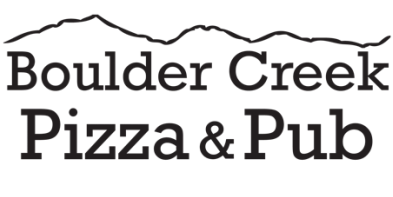 Boulder Creek Pizza & Pub opened on January 1, 2012. The restaurant was created and is operated by Justin Acton, who had a vision of serving the best possible food in a comfortable and relaxed family atmosphere. You can find us on the intersection of HWY 9 and HWY 236, at 13200-B Central Avenue, Boulder Creek, CA 95006. We are close to many parks and campgrounds, including Big Basin, Little Basin, YMCA, Camp Krem, Henry Cowell, and more. Our large dining room is a great spot to hold large parties, accommodating up to 100 people. We have many HDTVs to follow your favorite team. We are a great spot to watch the Giants, A's, Golden State Warriors, Sharks and 49ers. We can accommodate large group orders for local camps and church groups. Pizza & salad is an affordable and crowd pleasing option for group catering. We have catered pizza dinners for 700+ people, freeing up time for event organizers. To get more information, please email justin@bcpizzapub.com. Justin and his team love Boulder Creek. If there is a local event or charity that is looking for a donation, please email with details. We are very proud supporters of the San Lorenzo Valley Museum, Boulder Creek Elementary, boys & girls sports, SLV Charter School, AA Fellowships, Valley Churches United Missions, Community Mountain Theater, BCBA, and other community organizations.